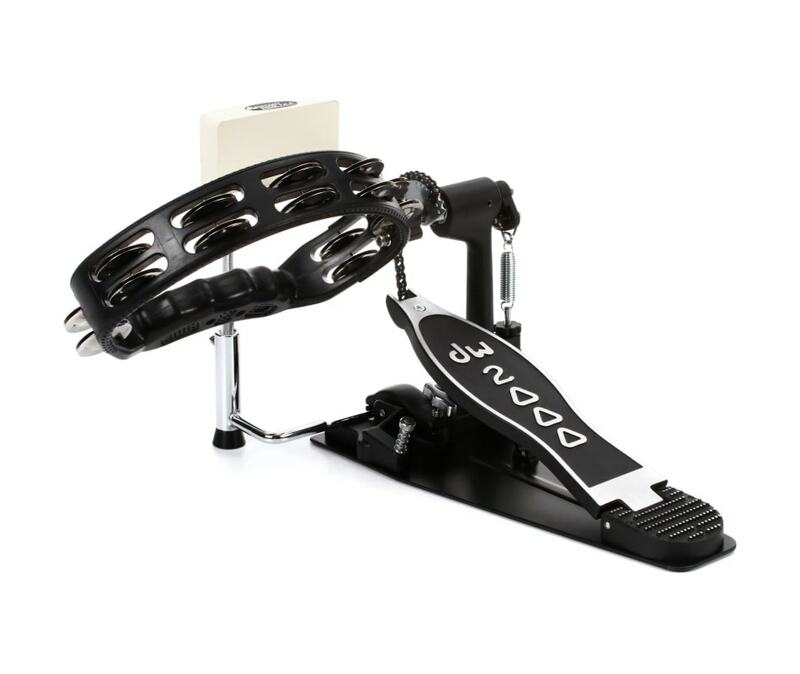 The DW Tambo Pedal was designed for multitasking drummers and percussionists that want to replicate the sound of a hand tambourine. Designed by drummer extraordinaire, Gregg Bissonette, the Tambo Pedal was conceived for use on the most recent Ringo Starr tour and has been refined so the technique used to play it is easily mastered. The 2000 Series pedal that comes with the assembly includes a beater hub, so it can be used as a stand-alone or back-up bass drum pedal in the studio or on the road. The perfect add-on to any drum kit or percussion rig. It can be used as a stand-alone or back-up bass drum pedal in the studio or on the road.